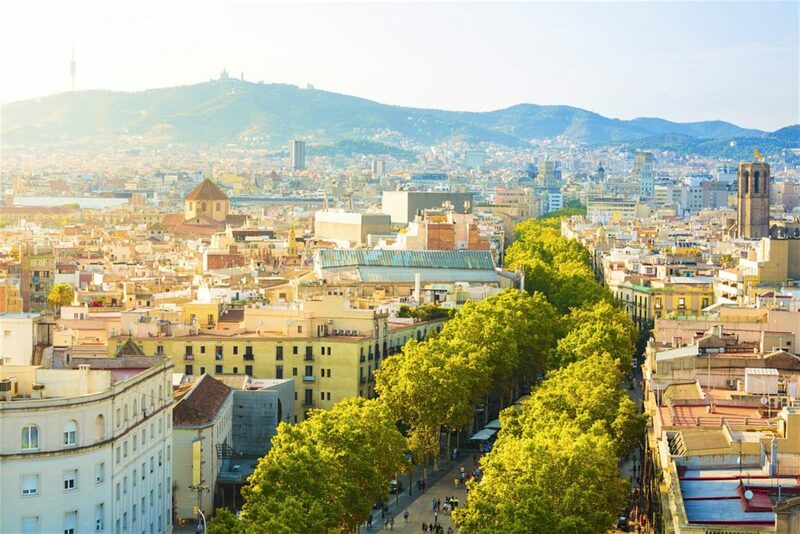 One of the world’s most visited cities, Barcelona is likely on your bucket list to visit or re-visit. But all that attention has a cost. As this Catalonian capital (population 1.6 million) hosts a steady influx of tourists (up to 27 million annually), it also ushers in myriad environmental problems. Luckily, there are ways you can make your trip an ecofriendly one. Increased city council investment in ecofriendly transport, combined with a focus on sustainability in restaurants and accommodation, is good news for responsible travelers. 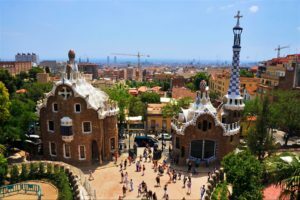 Here’s how to feel even better about indulging in tapas and Tempranillo, Gaudí and Gothic architecture, while respecting Barcelona’s status as the first city in the world to gain Biosphere certification (2011), recognition of its commitment to be a sustainable tourism destination. Tourists flock to Barcelona for its tapas scene, but if you’d prefer to rub shoulders with the person who grew the succulent tomatoes you’re eating, or if you want to know how and why your produce came to be at the table, there is an increasing number of places with a healthy ethos. Look out for ‘slow food’ restaurants that buy directly from local providers (within a radius of 100km) and use only seasonal ingredients. Flax & Kale (teresacarles.com/fk/) – Opened in August 2014, this stunning, split-level restaurant adheres to a ‘flexitarian’ approach to eating: 80% of the menu is plant-based, with the remaining 20% being ‘flexible’ dishes consisting of oily fish. It’s also the only place in Barcelona to offer juices that are cold-pressed on site. There’s a vegan and vegetarian menu, both of which offer dishes that are not only healthy and full of flavor but the presentation is on par with a Michelin level of dining. Try the raw vegan lasagne for a delectable entry into Barcelona’s multi-layered world of sustainable eating. Summum Restaurant & Bar (alimarahotel.com/en/restaurants-barcelona/summum) – If your eyes are often bigger than your stomach, Summum at the 4-star Hotel Alimara is an especially good option. Not only does it have excellent Catalan cuisine (such as the squid and sausage ‘surf and turf’) but it’s committed to social projects, working with UNICEF and the Food Bank, among others. It vacuum packs all its leftover food and distributes it to Barcelona Shares Food (nutricionsinfronteras.org/en), a project that aims to reduce waste and poverty. The hotel also trains students from the nearby hospitality college. Fastvinic (fastvinic.com) – This is a sustainability-savvy place masquerading as a simple sandwich cafeteria. If you want Catalan fast food done the ‘slow food’ way, if you want your glass of wine served at a temperature-controlled level for its individual style, and if you want your rubbish composted and recycled while sitting under energy-efficient LED lighting, this is the place to be. Elegant yet environmentally and socially responsible accommodation options abound here, with something for every budget. Mas Salagros (massalagros.com) – Open since July 2015 and located 20 minutes outside of Barcelona in Vallromanes, Mas Salagros is a truly tranquil retreat from the city bustle. This five-star ecoresort is the first in Spain to receive European Bio Hotel certification for its ecofriendly standards. The nurturing begins with the ancient thermal baths, which include red wine baths (take note, wine buffs, there are 8 different wineries just 5km from the resort, and Mas Salagros will have its own in 2018). Then there’s an organic vegetable garden ready to produce in 2016, as well as roaming cows, chickens and pigs. Plus, it makes its own dairy products for use in the two restaurants. Meliã Barcelona Sarrià (melia.com) – Located in Barcelona’s financial district, this 5-star choice is popular with business travellers. You might be thrilled to discover it has its own cheese bar (ponceletcheesebar.es, in Spanish), but also be aware that it’s committed to responsible tourism: this property has been certified as a Biosphere Hotel since 2009. Inout Hostel Barcelona (inouthostel.com) – This non-profit hostel uses clean energy: its hot water and heating work from a biomass boiler. It also has an enviable location in Parc de Collserola, just 15 minutes by FGC underground train to the city centre, yet it feels like a peaceful mountain hideaway. What’s even more impressive than the 24hr restaurant, the poolside views of Monte del Tibidabo or the quirky vintage interior (the playful representation of recycled furniture will bring a smile), is that this is the first hostel in Europe where 99% of the staff have some kind of mental disability. 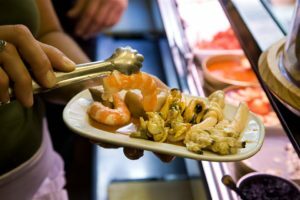 It offers fun activities, such as Paella Experience, where guests visit Barcelona’s Mercat de la Boqueria market for ingredients then return to the hostel’s kitchen to cook the dish as a team. The accessibility for travellers in wheelchairs is also exemplary. twentytú Hi-Tech Hostel (twentytu.com) – Not your average youth hostel, twentytú was awarded Biosphere certification in 2015 for its ecofriendly amenities like a low-energy lighting system and showers that conserve water. The hostel might have a slightly sterile atmosphere, but this may soon change: among its many socially responsible activities, it’s running a competition for students from BAU School of Design to help spruce up the decoration and designs for its bedrooms. And while bedroom views are industrial, the rooftop terrace panorama of Torre Agbar is splendid, as is the paella served on the terrace each Friday. Barcelona is ideal for walking, especially with the lovely, wide pavements of Av Diagonal, not to mention the gorgeous Gaudí architecture sprinkled liberally around the city (highlights include his unfinished masterpiece La Sagrada Familia or the recently rescued Bellesguard). But if you’re desperate to cram the most into your weekend, there are speedier, yet low-pollution ways to explore. Segway – Stop your sniggering. If you haven’t been on a Segway before, you’ll only feel silly for a minute; it’s surprisingly addictive and there are zero carbon emissions. Barcelona Segway Tours (barcelonasegwaytour.com/en/) offer an entertaining circuit of the city’s Barri Gòtic and the beaches of Barceloneta and Port Olímpic. Other options include a three-hour gastronomy Segway tour. Feeling less silly now, aren’t you? E-bike – Barcelona, with its extended network of bicycle lanes, is perfect for cyclists. 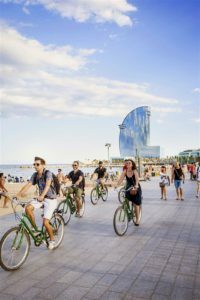 The knowledgeable people at Barcelona e-bikerent (e-bikerentbarcelona.com) can not only provide some electric-powered wheels to make the inclines a little easier, but they can also offer regular guided tours of the city, pointing out some of the more intricate design work of Barcelona’s most sustainable buildings. The tours focus on exploring the areas outside of the busy city centre. Hybrid taxi – It can be tempting, especially in inclement weather, to hail a cab to get from A to B. Why not go the low-emission way with a hybrid taxi? Twenty-seven percent of Barcelona’s taxis are hybrid vehicles, and Taxi Ecòlogic (taxiecologic.com) has been awarded ISO 14001 (Environmental Management) certification for its low emission levels. It also offers free wi-fi and a universal smartphone charger.